This protein and flavor packed salad does not disappoint! 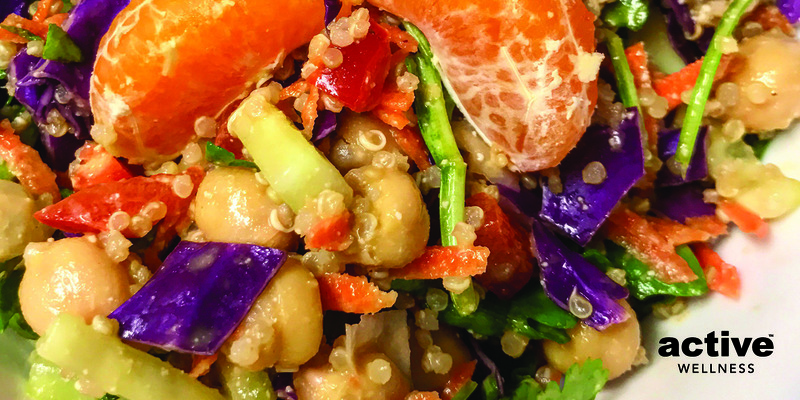 A rainbow of vegetables, chickpeas and quinoa make this featured recipe a nutrient dense dish that is delightfully filling. No dairy and no added oils make this one appropriate for those following a whole food, plant-based lifestyle. Bonus: the raw dressing means that prep is quick and easy, You will love this unique plant powered recipe! (Serves: 4).